Whether you are headed to the Brewer’s Stadium for a game or taking the family for a road trip, the Toyota RAV4 has the features to keep you safe and comfortable. 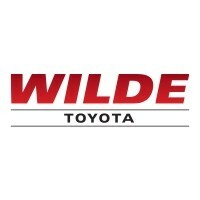 After you’ve taken a look at the RAV4 reviews, schedule a test drive at Wilde Toyota in West Allis, WI to experience it for yourself. Contact us with any questions you may have.. We hope to see you soon!